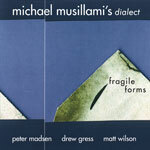 2009 marks the ten year anniversary of guitarist Michael Musillami's Playscape Recordings. 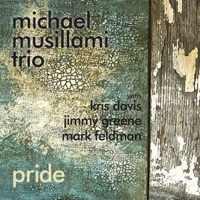 Since then Musillami has issued well over a dozen recordings as a leader supported by a variety of line-ups, with the long running trio of bassist Joe Fonda and drummer George Schuller being his most versatile group. Magnanimous collaborators, the trio has often found itself accompanied by guest artists. Dachau (Playscape, 2005) included contributions from saxophonist Tom Christensen, trumpeter Dave Ballou, and pianist Peter Madsen, and The Treatment (Playscape, 2007) added violinist Mark Feldman, with each session featuring tunes drawn from Musillami's extensive trio songbook. From Seeds breaks ground with a brand new set of compositions written expressly for an augmented trio line up. 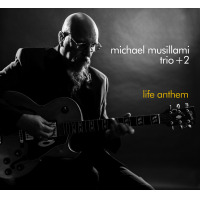 Scene veterans multi-instrumentalist Marty Ehrlich (playing alto exclusively), trumpeter Ralph Alessi, and vibraphonist Matt Moran bring experienced vitality to Musillami's longstanding trio. Ehrlich's biting tone and coiled attack is particularly fervent on this session; his caterwauling tirade on the ardent title track is one of his most visceral solos on record. Alessi provides subtle contrast to Ehrlich with his pinched timbre and meticulous phrasing, while Moran's billowy cadences offer effervescent accents to the leader's labyrinthine structures. Musillami's venerable rhythm section is impeccable; Fonda's robust tone and sinuous bass lines complement Schuller's elastic timing and understated shading perfectly. From the laconic pulse of "Wisteria Hysteria Blues" to the punishing downbeats of the dramatic title track they effortlessly navigate a series of modulating tempos and abrupt rhythmic shifts. A tonal traditionalist, Musillami's clean, hollow-body electric exudes bold serpentine cadences throughout the session, veering from the percolating flurries of "Splayed Fingers" to the melodious thematic variations of "Ga-Ga-Goosebumps." The angular title track reveals a surprising new facet as he amplifies his axe with a hefty dose of over-driven distortionhis first time recording with EFX. Shredding unfettered, searing long tones ascend into coruscating staccato bursts, conjuring Mahavishnu-era John McLaughlin and Sonny Sharrock, while providing a glimpse of exciting future developments. 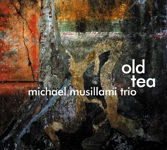 Bolstering ornate post bop melodies with uncluttered yet sophisticated arrangements, Musillami's compositions elicit a variety of moods. The epic opener "Splayed Fingers," invokes the adventurous spirit of late sixties Blue Note sessions with thorny intervals and advanced harmonies. Alternating between ethereal atmospheres and capricious rhythmic detours (including a brisk double time section), it unveils a wealth of expressive solos from the sextet. "Ga-Ga-Goosebumps" balances spacious introspection with dense thickets of activity while "Wisteria Hysteria Blues" twists tradition, punctuating a languid blues with dynamic tempo changes. The sonorous "Graphite" revels in lilting swing and "Bill Barron" provides Fonda and the leader an opportunity for intimate lyrical discourse. 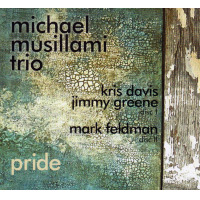 Building on the jazz tradition with graceful strides, From Seeds is one of Musillami's finest efforts, and a high water mark for a label whose longstanding dedication to quality is documented in each release. Track Listing: Splayed Fingers; Ga-Ga-Goosebumps; From Seeds; Wisteria Hysteria Blues; Graphite; Bill Barron. 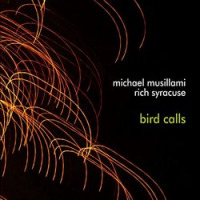 Personnel: Michael Musillami: guitar; Joe Fonda: bass; George Schuller: drums; Marty Ehrlich: alto saxophone; Ralph Alessi: trumpet: Matt Moran: vibes.